VIRGIN Australia and Qantas have both confirmed that they will now ban smart luggage that includes non-removable batteries. They are the first local carriers to do so, following the announcement by US carriers American Airlines, Delta, and Alaska Airlines last week. 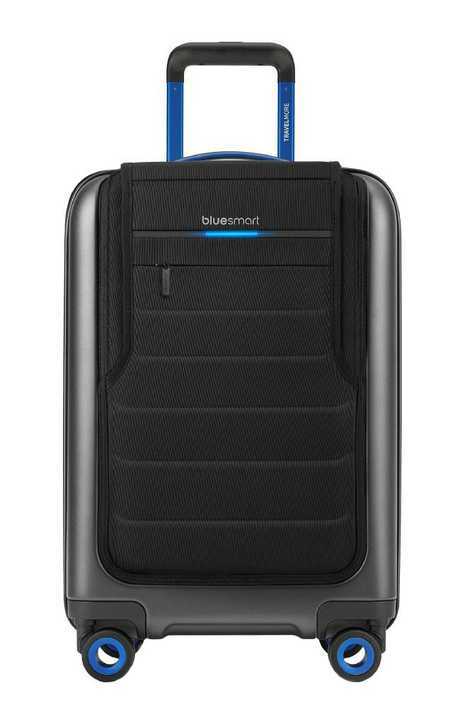 Smart suitcases, which can charge mobile phones, weigh themselves and be GPS tracked, seem like the holy grail of luggage. But they are powered by lithium ion batteries, which the aviation industry regards as a fire risk, especially in the cargo hold. "The safety of our guests and our crew is always our highest priority," Virgin Australia said in a statement. "Virgin Australia ensures that all relevant regulations are strictly adhered to with regards to the use of portable electronic equipment with batteries installed. Our policy complies with the current dangerous goods regulations and we regularly review this policy to ensure that the highest standard of safety is always upheld." Qantas has also banned the use of suitcases where lithium batteries can not be removed on board and in the hold. After suggesting it would issue industry-wide standards on the new luggage, after the US airlines issued their own restrictions on smart bags, global airlines body, the International Air Transport Association (IATA) made the decision. This means several other carriers will have to follow suit. In a statement, IATA said its Dangerous Goods Board decided to restrict the carriage of smart luggage on passenger aircraft operated by its 275 member airlines around the world. The restriction will come into effect on 15 January 2018. Bags equipped with a lithium battery will only be accepted for carriage if it is possible to remove the battery from the bag. "Baggage where the lithium battery cannot be removed is forbidden for carriage" on IATA member airlines, an IATA spokesman said. Bags with the battery installed must be transported as carry-on luggage. If a smart bag is to fly as checked baggage, the battery must be removed and carried in the passenger cabin. IATA's member carriers represent about 83 percent of total air traffic, according to the association's website. US-based carriers American Airlines, Delta and Alaska Airlines all said last week that as of January 15, 2018 they would require the battery to be removed before allowing the bags on board. Manufacturers of the bags include companies such as BlueSmart, Raden or Away. Away and Raden say on their websites that batteries in their bags can be easily removed. It is unclear on BlueSmart's website whether batteries are removable but it does state that all of its technology is "compliant with international regulations". Concerns over the risk of a lithium ion battery fire were highlighted during the electronics ban temporarily imposed earlier this year on some flights to the US.